Today Samsung rolled out latest G960FXXU2CSA2 Android 9.0 Pie firmware for Galaxy S9 SM-G960F. You can download G960FXXU2CSA2 Android 9.0 Pie firmware from below for a manual update. This new firmware comes with latest January 2018 security patches. You can use this firmware to update your Galaxy S9 SM-G960F to Android 9.0 Pie from Android 8.0 Oreo firmware. If your smartphone still running on old security patch then you can use this firmware to update it. If you yet to receive the firmware as OTA update then read the rest of the article carefully for a manual update. About the specification, Samsung Galaxy S9 is a good high-end smartphone. The phone comes with a 5.8 inches capacitive touchscreen display with a screen resolution of 1440 x 2960 pixels. The display comes with Corning Gorilla Glass protection. To power the device it has a Qualcomm Snapdragon 845 (or Exynos 9810 Octa) octa-core SoC as well as a 4 GB of RAM. The phone available with 64 GB / 128 GB / 256 GB inbuilt memory. Samsung Galaxy S9 features 12 MP rear camera as well as 8 MP front shooting camera. The smartphone packed with a non-removable Li-Ion 3000 mAh battery and running on Android 8.0 Oreo out of the box. Latest XXU2CSA2 Android 9.0 Pie official firmware update can be installed on Galaxy S9 SM-G960F via OTA or KIES. Apart from these two official processes, you can also update your Galaxy S9 SM-G960F to G960FXXU2CSA2 Android 9.0 Pie stock firmware by downloading it and flashing it manually. A step by step installation guide is available below. Remember, you can only flash this firmware through Odin, don't try flashing using custom recoveries such as CWM recovery or TWRP recovery. Continue reading this guide to learn how to flash G960FXXU2CSA2 Android 9.0 Pie firmware on Galaxy S9 SM-G960F. Warning: This tutorial is only for Galaxy S9 SM-G960F. Don’t try this guide on any other Android device. Also, ShizHub Team isn't responsible for any damage caused due to the instruction given on this page. Try this at your own risk. However, it is very unlikely that your device will be damaged if you follow all the instructions as it is which are mentioned in procedure. 3. You already have USB Driver Installed for Galaxy S9 SM-G960F in your PC. You can always manually download USB driver from our latest USB driver download page. As said earlier, manual installation requires Odin tool. You also need the right firmware for your model and the device itself. 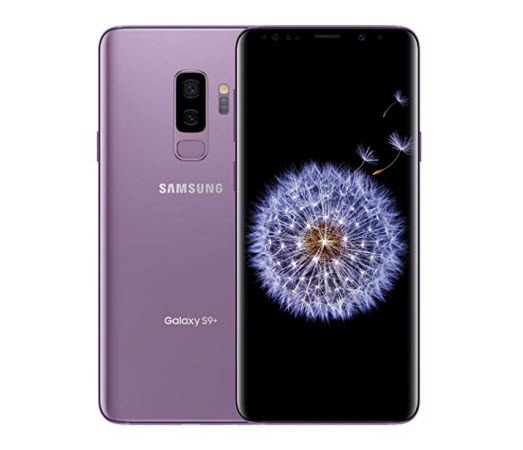 Below we have put up the tutorial that you can follow and manually flash the latest January 2019 firmware that available for Samsung Galaxy S9 SM-G960F. Congrats! You just updated your Galaxy S9 SM-G960F to Android 9.0 Pie firmware. Go to Settings > About device to verify this firmware update.